Flex Health Care, a non-medical home care located in Poughkeepsie, New York, is composed of professional nurses who want to make a difference by providing quality care. We have tremendous experience in Home Care, Nursing Home, Hospitals and Post-traumatic stress disorder (PTSD). Our caregivers are trained and bonded. With the skills of our professionals combined, we are deeply committed and driven in making a difference in home care by promoting dignity, patience, and compassion through our high-quality services. To respectfully and compassionately meet the needs of our clients and their families by listening, planning, educating, and delivering the highest quality care. Our strategic vision is to create and sustain leading high-quality service; one that enables individuals to live as independently as possible in the comfort of their homes. We personalize our services to meet your situation respectfully, efficiently, and compassionately. We foster independence while preserving dignity and improving the quality of life. We strive to provide excellent Non-Medical Home Care in Poughkeepsie, New York by staying in touch with clients and their families. To know more about our In-home Care Services in New York and what we can offer you, feel free to contact us at 845-345-6503. 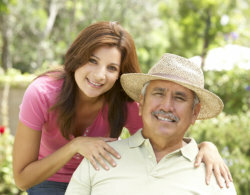 Take advantage of excellent home care that is tailored to your specific needs. We are gladly accepting inquiries about our services.